Refer my previous post for how to fetch sqlite database file from android device using mac machine and windows machine. In mobile application development, especially in android we need secure our sensitive local data with some sort of protection approaches. Unlike iOS, android provides access to user for every level of data, api configurations so there will be less security from Android OS level. Here i have taken SQLCipher Community Edition to encrypt local data from database level.For Xamarin android need to create binding wrapper across the available java sqlcipher .aar file. 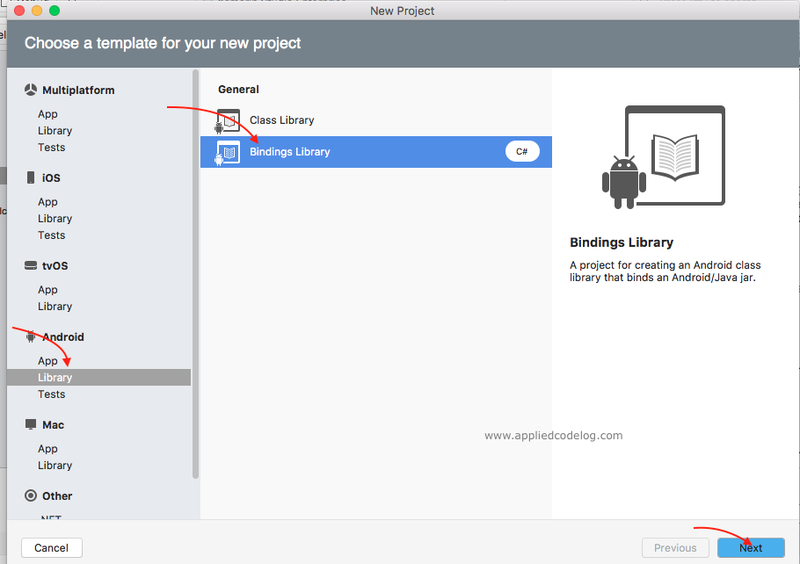 Xamarin binding is usually used to create .Net compatible dll from the available native libraries(.aar) written in java or objective c.
Step1: Create xamarin android binding project. From right side select Bindings Library. Step 3: Point the project to release mode and do build. On successful build it creates SQLCipher.dll in bin->release folder. 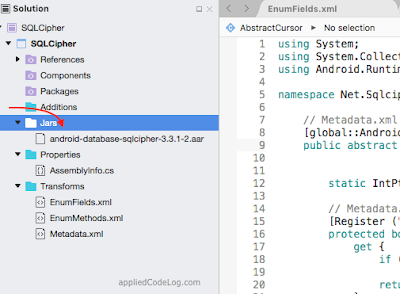 Step 4: Consume SQLCipher.dll in xamarin android project From solution explorer,Right click on References->Edit references->Select .Net Assembly tab and Browse .dll, add to project. Step 5: Now encrypted database setup in ready in our xamarin android project. It is available from the namespace Net.Sqlcipher.Database. Initialize sqlcipher database in activity onCreate method. Here for SQLiteDatabase.OpenOrCreateDatabase() method need to pass paasword to encrypt db. Step 6: Fetch db file and try to open it from sqlite browser and it will now ask for the password.